Xenforo is a paid internet forum running on PHP/Mysql available in many languages like English, French, German, Italian, Russian, Spanish, Portuguese and many more. The default xenForo theme can be used as it is. It is a professional looking. 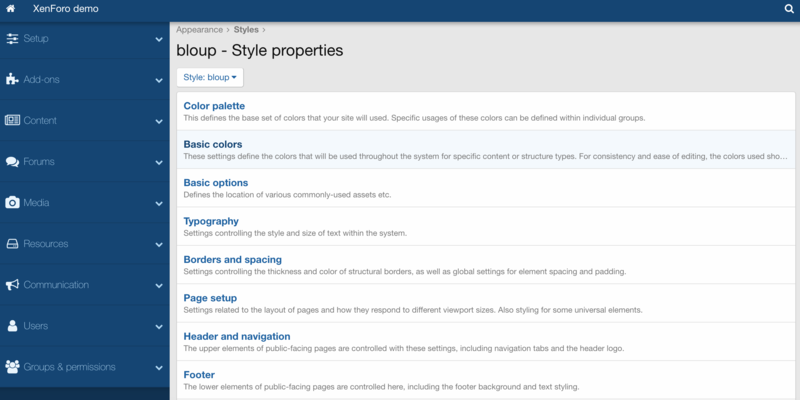 It is possible to customize the default theme and change its colors and fonts right from the admin panel. Thanks to the theme customizer menus, you don’t need to modify the CSS files. In other words, you don’t need to buy a theme because you can customize the default theme a lot. You can set up trophies (awards) to your users depending on the number of “likes” they received. There is a “like” system that is embedded and xenForo keeps track of the number of “likes” per user. For your information, you can add custom user fields. For sure, you can create your groups and customized permissions per group. Advertising is a fundamental feature of Xenforo because you can monetize your internet forum without installing any plugins or add-ons. You add an HTML advertisement code at different locations on different pages (Forum, breadcrumb, member view, thread view, post…). If the default features of Xenforo aren’t enough, there is an add-on called “ad manager” by Siropu. Siropu lets you embed advertisements wherever you want on your forum without modifying your forum template. There is no need to dive into the PHP and CSS. User upgrade is about giving new permissions to a user who paid a fee. It is possible to enter your merchant PayPal account or your stripe account in Xenforo. Then, you just need to create an order, a membership, a subscription. For example, you can ask users to pay a certain amount of money every day/month/year to access a thread or a forum category. DNS block lists: Xenforo can check DNS block lists to see whether an IP can be trusted. Registration timer: Xenforo can refuse a registration that was submitted too quickly meaning that it was not a human but a bot who registered. A spam cleaner: Xenforo also features a Spam cleaner. The spam cleanser helps you to delete several spams in a row. I am not aware of a paid internet forum with as many security features as Xenforo. The Xenforo developer team got it right. I have a story to tell about the spam bot. By the past, somebody installed an internet forum on one of my servers and forgot it. Spambots detected the presence of this internet forum on my server and started to stress the server by sending continuous simultaneous requests. Those spambots took down the server. At the beginning, I thought it was Ddos attack but then, I discovered those spambots posted hundreds of posts to the forum. It also happened with a phpBB 3.2 forum. A spambot posted hundreds of users. It took one hour to delete those users. Thus, it is very important to be able to block spammers before they are able to register users and post to the internet forum. Xenforo is among the only forum applications with security features to block spambots upfront before they harm your server. XenForo is a great internet forum software because it is can be used just after its installation without requiring to install plugins, extensions. It also does not require to modify the CSS files or PHP files. So, you don’t need to suffer from side effects related to code modification. Consequently, a webmaster who installs xenForo just needs to use the xenForo admin panel to set up a discussion board. Building a Xenforo forum is extremely fast compared to building a forum using an open-source application like PhpBB. On top of that, captcha, theme customizer, SEO features, user upgrade aren’t delivered with open source forums like phpBB. Furthermore, you don’t risk to break your installation during an upgrade because the plugins, the theme, the extensions are all part of XenForo. They can’t cause PHP errors or database errors. Then, the two monetizations features in Xenforo (ads and user upgrades) are great because usually, you would need to spend a lot of time coding and testing to get ad spaces working on a forum. The user upgrades are great to create a paid membership for your forum. I would like to add that the Xenforo has been developped to be a forum software. 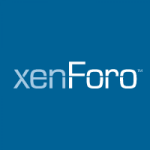 On the internet, Xenforo forums count dozens of thousands of pages. So, if you buy Xenforo, it is a safe bet because if your forum grows, you will not suffer from any issue related to the number of pages on your forum. If you don’t own a VPS or a dedicated web server it is better to choose a XenForo web hosting plan. Xenforo web hosting plans aren’t expensive and they bring the last version of Xenforo.